and other red and green flag specifications here. Please realize this is ONLY MY OPINION, which I am sharing because I get asked this a lot. My opinion is covered under the 1st amendment, and this is not a “BUY” and “DO NOT BUY” list. Please do your own research and come to your own conclusions. Don't see a brand on this list? Checkout our How to Tell page. There are no 5 star companies at this time. I am sure this will change. If you think your company belongs here, please contact Lea and book a website review today! This page contains a synopsis, but when you receive your report, it will be long and thorough, with lots of detail. Wingsets – owned by an aromatherapist who has been in the business for a long time. I love her non-EO products with a passion, and her blends rock. VERY THOROUGH descriptions, clear ingredients, and safety usage guidelines. Only thing I wish to see happen is GCMS reports. But I know Ann does her homework in choosing great suppliers. Find them on their website. Aromatics International – One of the first to offer GCMS reports, linked to batch #s on the bottles. Very thorough chemical family breakdown (for what its worth). Recipes, therapeutic properties, and safety advice offered. I've always been impressed with the safety info for their singles, and just now am looking at their blends. I am disappointed. One example is their Cold and Flu Prevention Blend contains Ravintsara with high 1,8-cineole content and 1% dilution recommendation and no safety warnings are included. No dilution is revealed. No age minimums given. Another drawback is the price, but they have some EOs that you can't find anywhere else. Find them on their website. Edens Garden – NEW UPDATE: After hiring me to do a website review, I could see many changes were made since my previous 3-star downgrade. I do have to say they do have the nicest website, packaging, and labels of anyone on this list, as well as all the bells and whistles a customer would want in a website and purchasing experience. As for safety information, they have added back much of the original information they hired me to do in 2015 (after removing it in 2016). They still have a generic “consult your health care provider” statement, and I would like to see specific safety info there instead of a generic one. They did remove an essential oil that I had issue with due to safety. Their OK for Kids line is truly safe for kids, but I have concerns about the efficacy of the recipes. They recommend 1% dilution when buying their undiluted blends, but then sell the roll-on's as 5% dilution. They are trying very hard, always improving. They still have changes to make, but are well-deserving of a 4 star rating. Find them on their website and on amazon. Aura Cacia – Myrrh tested just as good as DT and YL Myrrh, for way less the cost. They do offer some educational information, but it needs to be re-vamped and updated. They don't reveal how much their pre-diluted EOs are diluted, although they do say “in the 3-5% range.” This is probably fine for many uses, but not for using on children and you want a 1% (or lower) dilution. They have a great start, have been around a long time, but need some tweaking – namely adding GCMS reports to their website. You can find them on their website, on amazon, and on vitacost. Eden Botanicals – Offers good safety information and usage recommendations, and lots of good information in their website. Their Certificate of Analysis doesn't include a complete GC/MS, but does include several of the main constituents. They also offer samples. You can find them on their website. 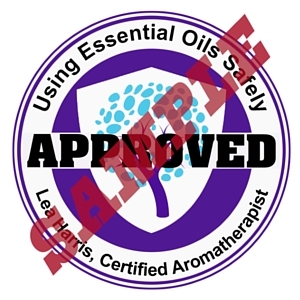 Lemongrass Spa – A direct sales company I have been involved in before they introduced essential oils to their customers, I have consulted for them and given presentations to the consultants to teach them about safety. Many have graduated from my UEOS Basics course and are EO Safety Advocates. Not the most affordable essential oils and blends due to the nature of the business, but they do have the eye for safety. You can find them here. Mountain Rose Herbs – They have excellent customer service, and responded appropriately when their Peppermint was found to be “not in compliance” during our 3rd party testing. That being said, it is important to note that it failed due to their purchasing a lesser-quality Peppermint, as their usual stock was out, and they didn't want to hang the “out of stock” sign up. They do offer decent product information in their EO pages, HOWEVER their safety information needs an over-haul. Their Eucalyptus page mentions nothing of caution with kids under 10 (or any age), and they say to avoid while pregnant (huh?). Flip side, is the safety info on Fennel is pretty good, although no dilution recommendations are given. They are also not as affordable as some other brands. I'd like to see them remove some of the less safe essential oils. You can find them on their website. Essential Oil Exchange – They are affordable, and were only one of 3 out of 12 to pass our 3rd party Peppermint testing. That said, they do offer essential oils that have serious safety concerns, such as Pennyroyal. ZERO warning is given – in fact, there is no info at all except the botanical name, origin, and method of extraction. Bergamot, however, does have constituents listed, although no percentages. Phototoxicity is mentioned, but only that “care must be taken” – but no safe dilution given (0.4%). You can find them on their website. Essential Vitality – This is the brand which beat out DT and YL (and two other) brands during our Myrrh testing. That said, they are pricey, no dilution % is given for pre-diluted blends, and non child-safe EOs are being used on children (“Bitten” blend). So the quality seems to be there (no GCMS tests are provided), but the educational info needs to be present. You can find them on this website. Wyndmere – They have a lot of great information, as well as a couple of YouTube videos on safety, including stressing that essential oils are concentrated and not to ingest. Their Bergamot does mention phototoxicity, but no topical max is given. There is no chemotype listed for Basil. Birch is offered for sale, and “harmful in concentration, use sparingly is noted,” but specific detail is lacking. I like that they offer Cinnamon Leaf, but not Cinnamon Bark. Clove is offered, but suggested to avoid if pregnant, and no mention of avoiding with children. However, their general recommendation is not to use essential oils on kids under two – it should be on the product page, though. No warnings about using Peppermint around children. No dilution given for the roll-ons they sell. You can find them on their website. NYR Organics – A direct sales company. Was one of the 3 out of 13 to test well in our 3rd party testing for Peppermint. They offer bergapten-free Bergamot, which is not phototoxic (good). Their safety information is mixed. They are clearly trying. They ask you dilute carefully, and offer low dilution suggestions, but no warning about Eucalyptus use with children. You can find them on their webiste. Plant Therapy – The owner got a lot of free positive PR from this group after their Tea Tree was found Not in Compliance and they pulled their stock, to great financial loss. They made a lot of good moves, including hiring Robert Tisserand to formulate their “KidSafe” line. They do have great customer service and good prices. That all said, they have some conflicting safety information, marketing roller bottles for blends that are best diffused, and suggesting higher than usual dilution % in blends marketed to children as young as age 2. Their “Germ Fighter” includes Cassia, the cheapest form of Cinnamon with no warnings given. They suggest adding EOs to bottom of the feet to boost immune system, so it looks like they have more room for improvement. 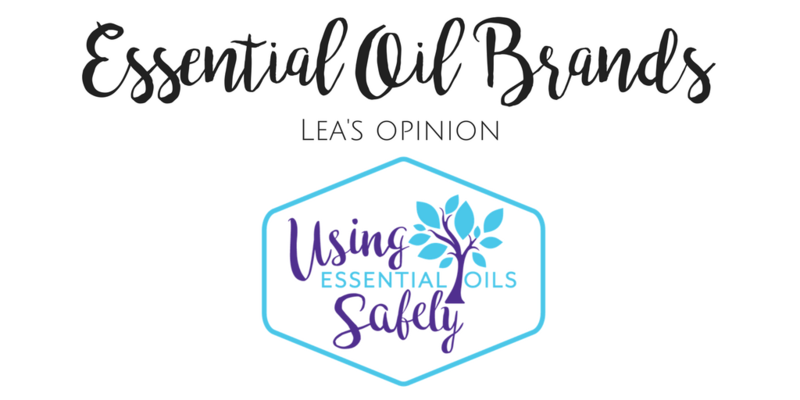 The newest safety blow is their Ear Ease formula – the first ever essential oil blend to be marketed for placing inside the ear. This goes against what all aromatherapists are taught. As of today, 8/28/2016, it has caused outrage from professionals like myself as well as customers. Time will tell if they pull the blend. You can find them on their website and on amazon. These are the companies I personally choose to NOT purchase from. Please refer to this list of things I look for when making this decision for myself to understand why these companies are in this list. Note: if these companies make changes, such as hiring a certified aromatherapist to consult for adding safety information etc., I am open to moving them into my star ratings section. Yes, I am personally available to hire for consulting on a first-come first-serve basis. Reminder: this is ONLY MY OPINION, which I am sharing because I get asked this a lot. My opinion is covered under the 1st amendment, and this is not a “BUY” and “DO NOT BUY” list. Please do your own research and come to your own conclusions.